Sheer and unique, soft A-line, V neck and back gown. 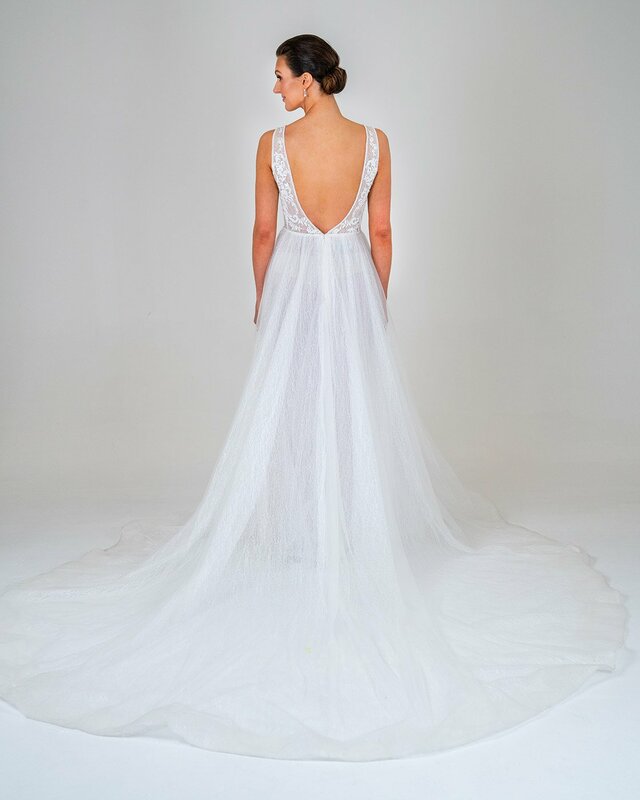 Laura features a delicate cob web underlay over soft ivory tulle and applique lace feature. With her bare bones showing she is the potential for multiple different looks. As with all our gowns any design changed can be made such as, strapless (with lining), open bust plunge, fitted skirt/detachable, spaghetti straps, off shoulder, smaller/longer train, heavier beading, a variety of colours, interchangeable lace and more.